Does it really pay to spray? But not all insects are pests – a wide variety of them help keep our cities healthy. They pollinate plants, feed other wildlife, recycle our rubbish, and eat other insect pests. Insects are vital to our well-being. Unfortunately, like many other wild animals, insects are under threat. A recent study warned that 40% of the world’s insect species face the prospect of extinction, amid threats such as climate change, habitat loss, and humanity’s overenthusiastic use of synthetic chemicals. Australians use large amounts of pesticides to tackle creepy crawlies in their homes and gardens. But our fondness for fly spray has potentially serious impacts on urban ecosystems and public health. We need a more sustainable way to deal with urban insect pests. Our recently published article in the Journal of Pest Science outlines some of the ways to do it. What’s wrong with pesticides anyway? Since becoming publicly available in the 1950s, insect sprays have been a popular way to deal with cockroaches, flies, moths, and ants around the home and backyard, and are also widely used by local councils to keep pests at bay. But what may have been effective in the past won’t necessarily work in the future, or may have unintended consequences. Many pests, such as mosquitoes, are now becoming resistant to commonly used products. In parts of the world affected by diseases such as dengue, this jeopardises our ability to control outbreaks. 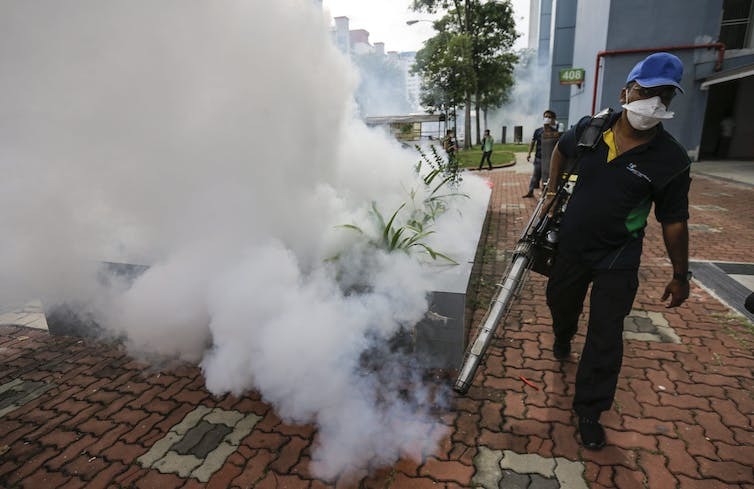 Chemical or natural: what’s the best way to repel mozzies? Another, perhaps wider, problem is that indiscriminate use of insecticides can kill more than just pests. Many species on which we rely for keeping our backyard gardens, bushland, wetlands and parks healthy can become collateral damage. This includes predatory species that can themselves help keep pests under control. As pest species often reproduce faster than their predators (a pattern that’s likely to be reinforced by climate change), we can get trapped in a cycle in which pest numbers bounce back higher than ever. Many wasps are predatory and specialise in eating insects that can be pests around the home. Fortunately, there are alternatives to chemical pest control that don’t harm your household or the environment. For centuries, sustainable agriculture systems have used environmentally friendly approaches, and city-dwellers can take a leaf from their books. Integrated pest management is one such sustainable approach. It focuses on prevention rather than treatment, and uses environmentally friendly options such as biological control (using predators to eat pests) to safeguard crops. Chemical insecticides are used only as a last resort. 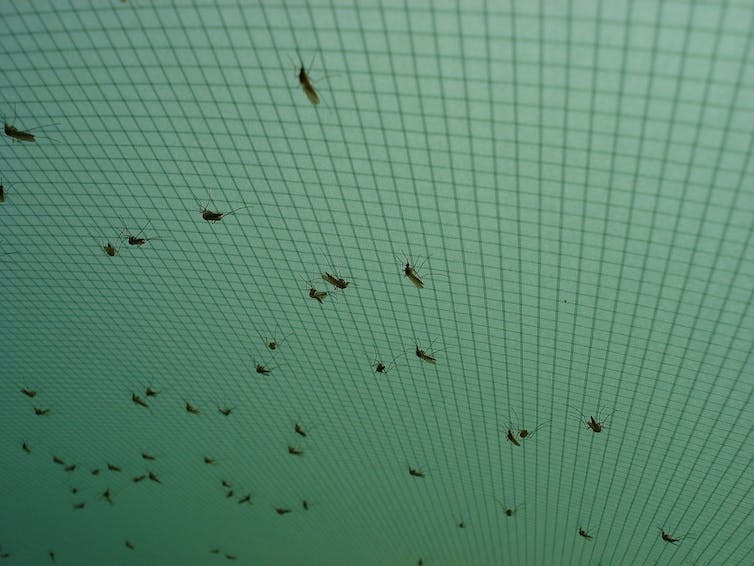 There are many other farming practices that support sustainable pest control; these focus on behavioural change such as keeping areas clean, or simple physical controls such as fly mesh or netting around fruit trees. Adopting these methods for urban pest control isn’t necessarily straightforward. There might be local regulations on particular pest control activities, or simply a lack of knowledge about urban pest ecology. For urgent pest situations, it may be more expensive and time-consuming to set up a biological control program than to arrange the spraying of an insecticide. Insecticides take effect immediately, whereas biological control takes longer to have an effect. Prevention, the cornerstone of integrated pest management, requires careful planning before pests become a nuisance. The goal of integrated pest management is not to eliminate insect pests entirely, but rather to reduce their numbers to the point at which they no longer cause a problem. By this logic, chemical insecticides should only be used if the economic damage caused by the pests outweighs the cost of the chemicals. If you hate the idea of a single cockroach living anywhere nearby, this might require you to adjust your mindset. Don’t give pests opportunities. Be mindful of how we produce and dispose of waste. Flies and cockroaches thrive in our rubbish, but they can be effectively managed by ensuring that food waste is stored in insect-proof containers, recycled, or properly disposed of. 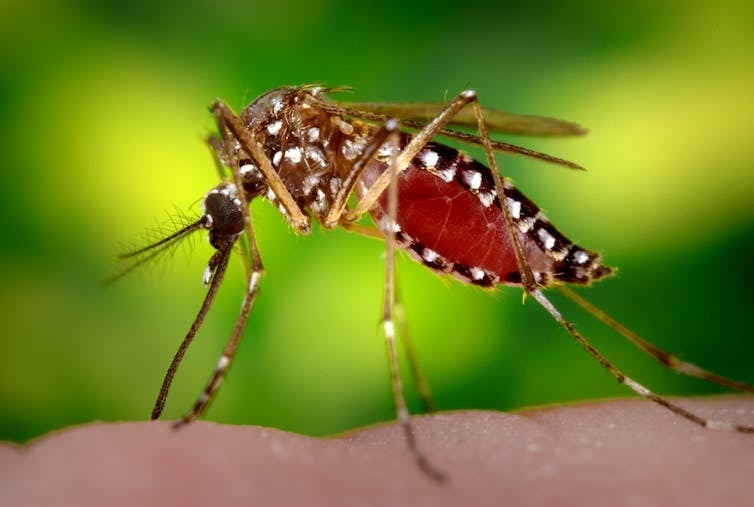 Don’t leave buckets of water around the backyard, as this invites mosquitoes to breed. Don’t open your door to pests. Seal cracks and crevices in the outside of your house, and ensure there are screens on your doors and windows. Support the animals that control insect pests – they’ll do the hard work for you! In particular, don’t be so quick to kill spiders and wasps, because they prey on pests in your home and garden. Spiders like this leaf curler will happily eat a range of pests, including ants, around your home. Urban communities can learn a lot from sustainable farming. First, there needs to be better education and support provided to the public and policy makers. Workshops run by local councils and information sessions with local gardening groups are a great way to start. We can also work together to help debunk the popular myth that most insects are damaging or unwanted pests. Reaching for the fly spray might be easy, but remember you may end up killing friends as well as foes. The link below is to an article that looks at frogs and chemicals.